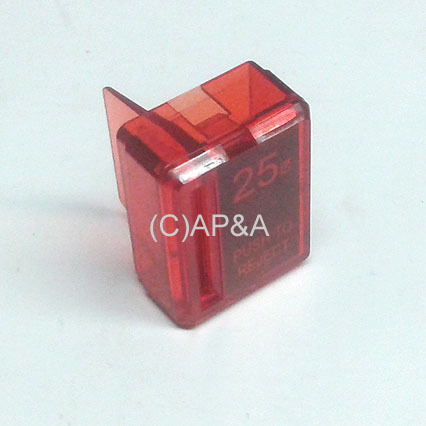 Red plastic coin slot entry / reject button housing with 25¢ price tag. Commonly used on older Coin Controls and Wells-Gardner brand coin doors. Replaces Coin Controls # 91-1113-01.